At RR Floody Company, we’re excited about the future of automation and the rise of the new wave of technologies that are shattering the barrier to entry to industrial automation. Universal Robots is leading the charge with this movement, and we at RR Floody are excited to introduce drop-in kits that we have developed in collaboration with two of our key partners. These cobot systems are a fast, safe and simple way to increase your capacity and re-focus your machinists and operators on high value activities, like CAM, setup and inspection. The Cobot performs the routine loading and unloading of parts, while valuable staff ensures your shop is efficient. 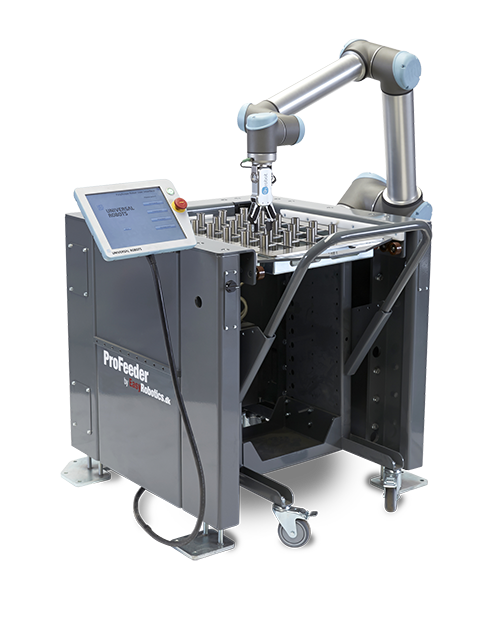 See the FC-Series Machine Tending System in Action! 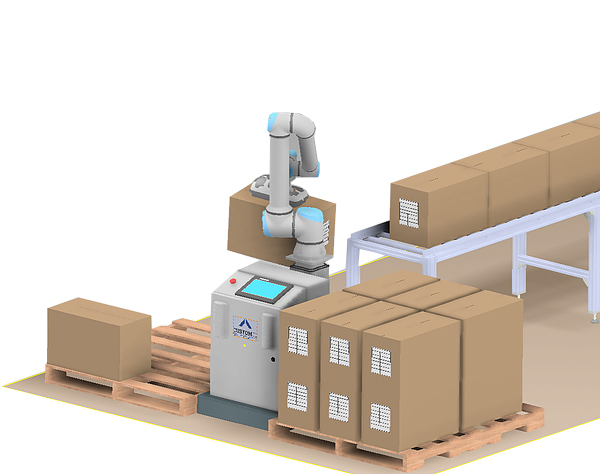 With Modular Palletizing Solution (MPS), manufacturers can quickly and with minimal disruption, drop in a robotic palletizing solution with an impressive ROI.